Strong heels and innovative three dimensional details are among the signature features throughout the Robert Clergerie universe. 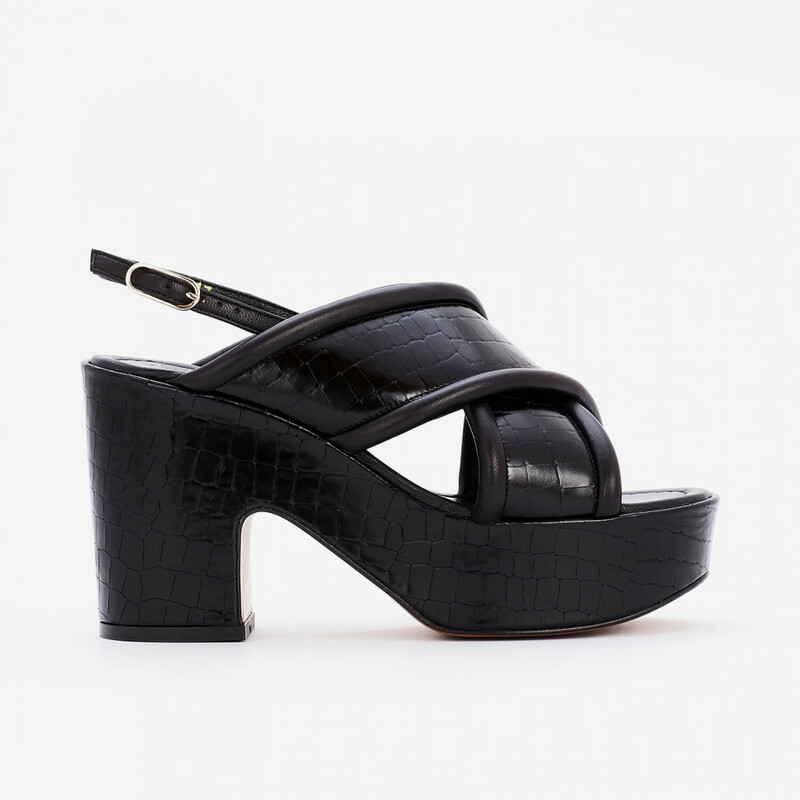 This platform sandalet fetches the edgy look from the bold pipings along the straps and from the mixture of glossy crocodile texture and smooth leather. Gold hardware and beautifully crafted insole gives a finishing touch to the luxurious overall impression of this statement shoe. 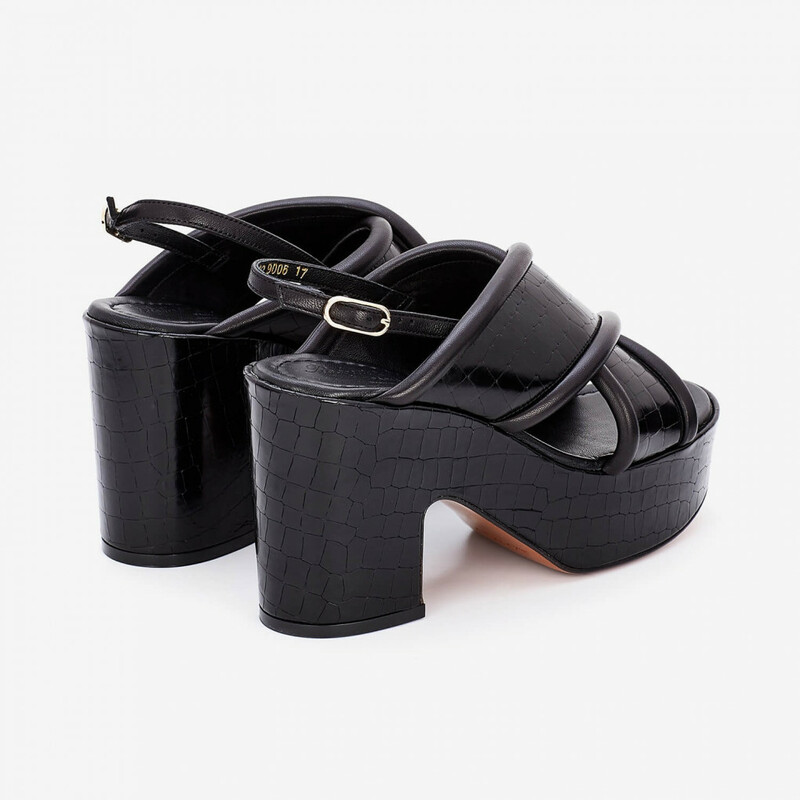 1 x Emelie Platform Sandalet was added to your shopping bag. 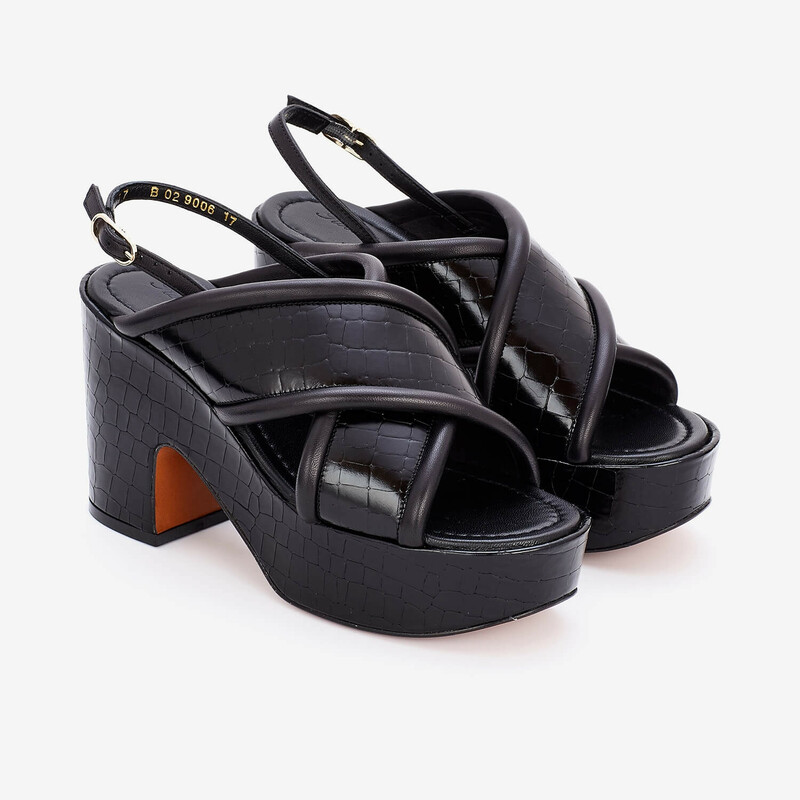 1 x Emelie Platform Sandalet was added to your wishlist.